British finance minister George Osborne may struggle to keep his promise of delivering a 10 billion pound budget surplus by 2020. But lower oil prices could help. Raising fuel taxes for the first time since 2011 would be unpopular, but could help Osborne deliver. 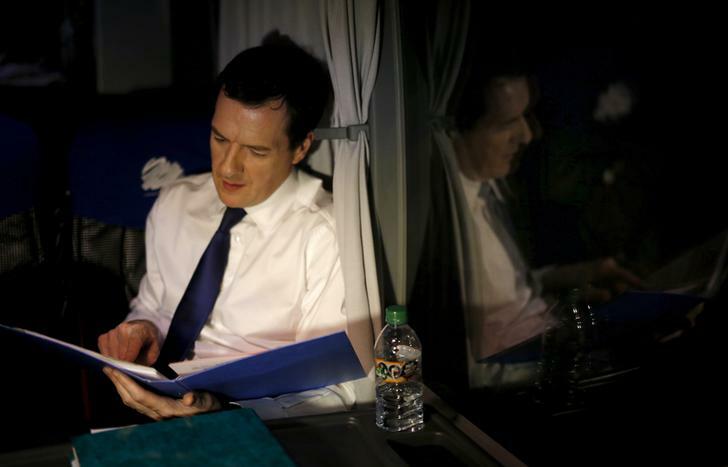 Britain's Chancellor of the Exchequer George Osborne May 5, 2015. Brent crude was trading at a 12-year low on Jan. 18, at just below $28 per barrel, as Iran prepared to flood the market with more oil. The benchmark is down 71 percent since duty on fuel in the UK was last raised in January 2011. British finance minister George Osborne bowed to political pressure on Dec. 5 when he backed away from increasing fuel tax on gasoline by three pence per litre.